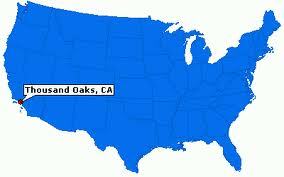 Any out of state move or a move with distance over 100 miles is considered long distance. 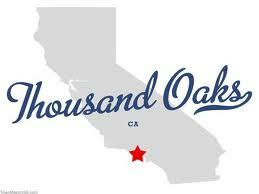 Thousand Oaks Movers is a fully insured company. We provide full service long distance relocation services to our residential and commercial customers moving anywhere in 20 Western states and some of the North East part of United States. Our dispatch department is ready to work with anyone and help them in any possible way. Even if we are not able to make a delivery ourselves we can refer you to a reputable and reasonably priced company. The cost of long distance move is determined by the size of the shipment and the distance to the new location. Most of the competition is determining the size of shipment by the cubic feet it takes inside their truck or trailer. However, American Moving and Storage Association has advised customers to work with companies that determine the size of shipment by its weight. 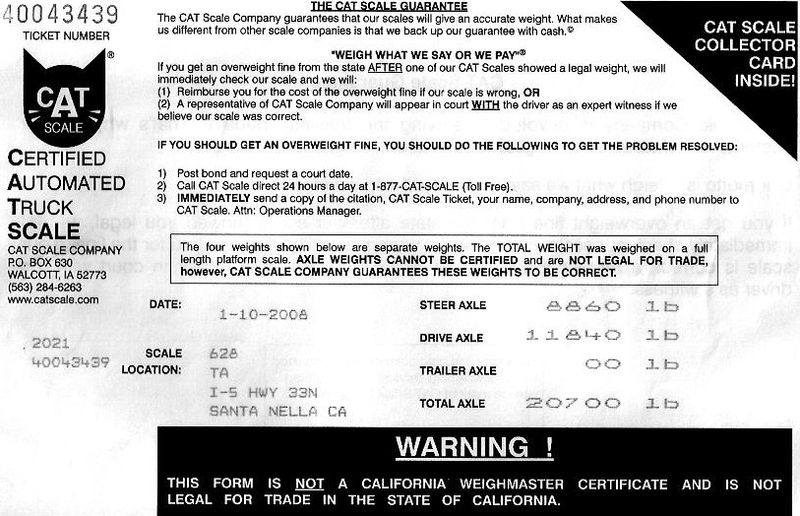 Thousand Oaks Movers weighs their trucks (at the government certified scales) empty - prior to getting to customers house and later after truck is loaded it will be weighed again. The customer can be present at both times. The difference between the empty weight and the heavy weight is known as payload, or the weight of your shipment. The tariff is then applied to the weight and this is how simple you get the transportation cost of the move. Light Weight of truck = 15,100 lbs. Heavy Weight of truck = 19,400 lbs. Payload/weight of your shipment = 4,300 lbs. Tariff (Los Angeles, CA to Henderson, NV - 275 miles) = $0.32/lb. Unloading and unwrapping furniture and other items. To avoid any surprises order a Free On Site Estimate. Our estimators are experienced and will help you make a decision of which of the services you can may do yourself to save on the cost. Most importantly will have a piece of mind, that no surprises await you at the time of delivery. Our drivers have many years of experience. They have excellent equipment, which is well maintained and has all other necessary moving items to make your move go safe and fast. Our office staff will be in constant contact with you during the entire process. Will keep you informed of the trucks route and delivery time. If there any delays, due to weather, traffic, or any other unpredictable incidents you will be informed by phone and email. Our movers have many years of experience in local relocations. They are knowledgeable, polite, and will be aware of the tasks provided to them by our office staff. Movers will have the right size truck with necessary equipment to ensure the move goes smoothly and according to plan. They have high expectations of customers satisfaction. Our movers are proud of their jobs and the company they represent. They are well compensated for the quality work and in addition get bonuses for receiving positive reviews from happy customers. Our goal is to provide best services for lowest rates in the business. 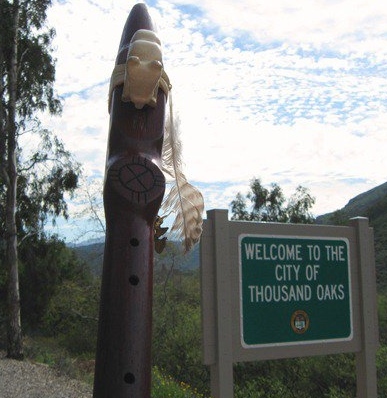 Thousand Oaks Movers have been making deliveries anywhere in California 365 days a year. Our workers will not stop until the job is complete or the customer asks them to. We are always ready to work around your schedule. Make your reservations any time of the day, if you need to make changes to your reservation it is OK with us, all we require is ample amount of time to make proper arrangements. Please discuss your situation with our representatives and they will make it happen. This is a real copy of inventory form. We cut out the names of the customers for privacy reasons. But it clearly shows obriviations on the top of the form. Customer should paay close attention. As they describe the actual condition of the goods. If customer disagrees, it should be reflected on the form. Weight Slips are provided to customers before the load and after. This is the most honest way of determining the size of the shipment.